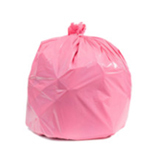 The 56 gallon Rubbermaid Glutton® garbage can is wildly popular with businesses and homes who want a large outdoor can which can handle large loads. 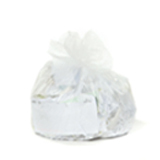 Finding bags which properly fit its generous dimensions can be a challenge when you shop at regular stores. 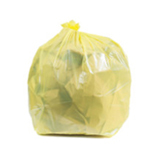 Here at Plastic Place, we carry several bags that have been specifically designed to fit these cans like a glove. 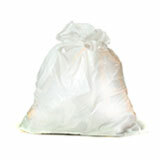 Our 56 Gallon Glutton Bag collection offers many bags that usually work well in the cans below. A properly fitting can liner makes all the difference. 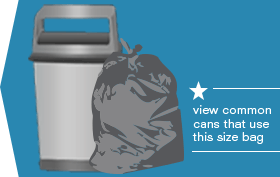 If your bag is too small, you have to fight with it to stretch it around the rim of the can, and deal with issues like slippage or splitting, which can cause a terrible mess. If it’s too large, it’s wasteful, and you need to cope with unsightly excess plastic flapping around the edge of the can. Because these 56 gallon Glutton® can liners have been made to measure, all you have to do is pop it into the can and go on with your day. 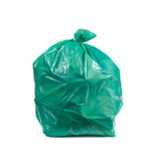 Plastic place offers a variety of bags in this category, including economical high-density garbage bags with a star seal, which make for an extremely leak-resistant can liner, to tough low-density trash bags, which offer enhanced protection against punctures. 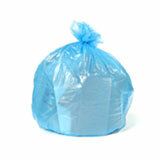 When you buy commercial garbage can liners in bulk you’re solving several problems at once. 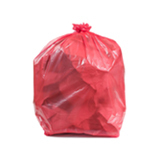 You reduce the amount of time you spend shopping for garbage bags, you drastically cut down how much money you’re spending per garbage bag, and you ensure that you never run out of bags at a critical time. 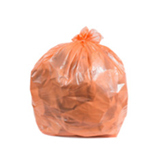 The wholesale garbage bags we sell at Plastic Place are of the highest quality, so you never have to feel like you’re cutting corners when you’re trimming the budget. 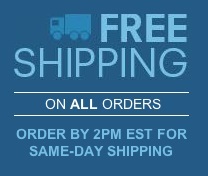 We also offer a complete satisfaction guarantee. 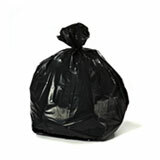 That means you can order bulk garbage bags from us, secure in the knowledge that we’ll always back up our products. From helping you select the correct bag for your business to offering exceptional customer service after your purchase, we’re here to make your life easier.